Covergirl introduced the newest product to their Blast Collection a few months ago which is the Intense ShadowBlast liquid eye colors. I've been curious to see what these are all about for a while now and I've finally got a chance to check them out for myself. The Intense ShadowBlast comes in six vibrant shades; Platinum Pop, Blue Bomb, Extreme Green, Brown Bling, Beige Blaze and Forever Pink (the only one I don't have from the collection). 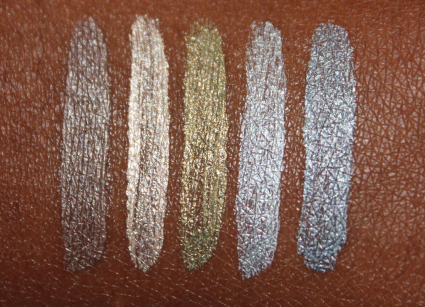 Is a liquid eye shadow that transforms into a smooth powdery finish! NEW crease-resistant Intense ShadowBlast won't fade as you wear it for hours. - consists of a built-in-primer, which contains a long-wear waterproof polymer. - has a felt tip applicator so that you can easily apply it for hours of fade proof, crease-resistant color. Glow: For starters I love that these shadows have a built-in primer! They can be worn as a base or worn alone. The Intense ShadowBlast definitely live up to their claims because once they dry and set they really don't move or fade. I literally was able to wear these for about 6 hours straight with no sign of fading or creasing. Glare: A couple of the colors show up a little silvery against my complexion, so just be aware that depending on your skin-tone there might be a slight variation in the pigmentation of the shadows. Also once these shadows dry they don't budge, so make sure you blend well before they set! Would I Recommend It? Yes! It's a great product especially being a drugstore brand. 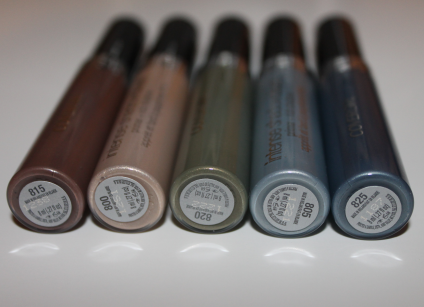 I also think these would go great used as a base with Covergirl's Smoky ShadowBlast Duo's, they would definitely intensify color and minimize creasing with those shades! 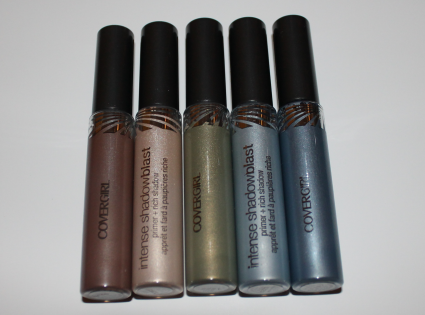 Where To Buy: Covergirl Intense ShadowBlast is currently available at drugstores and mass retailers nationwide. They retail for $7.99 each. To purchase, learn more, or to locate a retailer near you please visit www.covergirl.com.